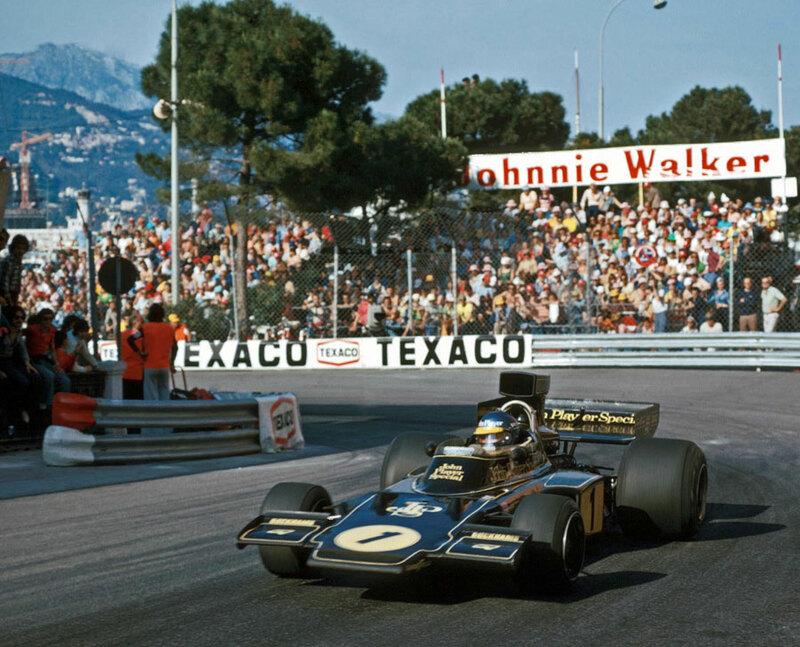 Ronnie Peterson and Lotus won their first grand prix of the season on the streets of Monte Carlo, after the Swede escaped a huge pile-up on the first lap. The accident occurred on the lead up to Casino Square and accounted for seven of the 25 starters, but remarkably no one was hurt. Peterson, in third at the time, was just ahead of the trouble which saw the midfield bunch up and bounce off each other at the end of the uphill slog from Sainte Devote. Jacky Ickx in the second Lotus was closer to the drama and said: "I was right in the middle, I have never seen anything like it. The cars bounced and flew about in the air." The debris was cleared efficiently by the Monaco marshals and racing resumed with Peterson looking quick but stuck behind the two Ferraris of Clay Regazzoni and Niki Lauda. In his haste Peterson spun at La Rascasse on the second lap, but despite being hit by Carlos Reutemann, managed to continue in sixth place. On lap 20 Regazzoni spun at the same corner, handing Lauda the lead until his ignition failed and he retired. By that time Peterson had fought his way back to second place and he assumed the lead, which he held until the end of the race. Only eight other cars finished, with Jody Scheckter's Tyrrell in second ahead of Jean-Pierre Jarier's Shadow in third.